Discover the cosmopolitan beauty of Central Amsterdam, Amsterdam North and the rural charm of North Holland. As an extra, you can bring your bike back until 12pm! Your cycling tour of Amsterdam Centraal, or the meadows and villages of North Holland, begins at the NDSM wharf in Amsterdam North. Rent your bike at NDSM BIKES and in no time you can be cycling around Amsterdam or exploring the peace of the countryside! We have bicycles of all types and sizes and will turn your day into a wonderful mini vacation. Don’t worry about bringing your bike back on time, here you can bring your bike back untill 12pm! Adult’s bike or child’s bike? Hand brakes or back-pedal brake? With gears or without? NDSM BIKES has bikes of various types and sizes suitable for all riders. We ensure that the bike is roadworthy and has all the required accessories. Book your bike now and let us know what your preferences are. 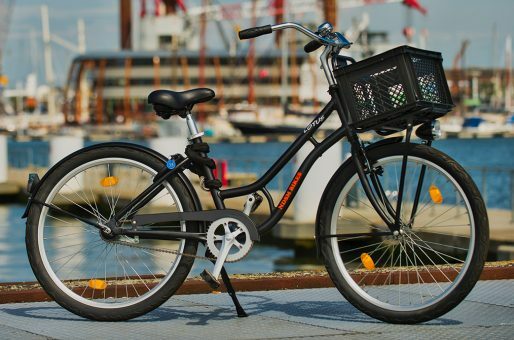 You will find NDSM BIKES at the NDSM-werf, right next to the ferry dock. This historic shipyard area in Amsterdam North has blossomed into an enormous cultural hotspot in recent years and is well worth a visit; throughout the summer the best festivals, cultural evenst and parties are held here while Europe’s biggest flea market is open all year round at the IJ-halls so that you can exercise your bargaining skills. You can take a break from your cycle tour at happening hotspots like Pllek, Noorderlicht, the IJkantine and BBROOD for breakfast, lunch or dinner – right on the IJ! You can get to the NDSM wharf in 10 minutes on the free ferry that crosses the IJ at the back of Amsterdam Centraal Station. You will cruise by the eye-catching architecture that defines the Amsterdam skyline: the A’DAM Toren, Eye Filmmuseum and the Silodam. Your tour has started! The ‘t Twiske nature reserve, where you will be surrounded by water and the song of many different species of birds. You can lay out your towel on one of the countless beaches and sunbathe or take a swim. 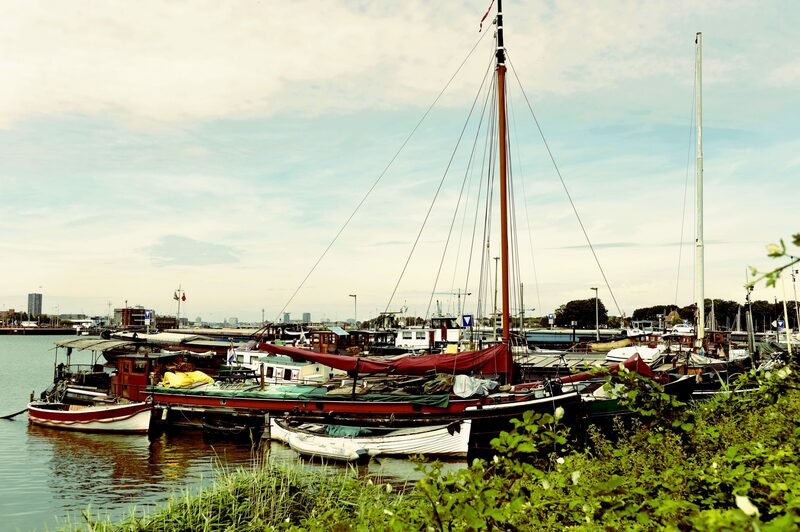 Rural North, where breaks from your exploration can be made in the pretty and quaint villages of Holysloot, Durgerdam, Schellingwoude, Ransdorp or Zunderdorp. The Zaan region, loved by French impressionist Claude Monet, with its archetypal North Holland houses and, of course, the Zaanse Schans, famous for its windmills. The Waterland, with its polder and streams, where you will pass cows and sheep grazing in the pasture and find cozy villages like Landsmeer and Ilpendam. NDSM BIKES is a Tourist Information Point (TIP) so we can supply you with free route maps for the areas you would like to visit. Need advice about where to go and what to do? it will be our pleasure to discuss your options with you. And don’t worry about bringing your bike back early. You can bring your bike back until 12pm! Still want to cycle around Central Amsterdam? Jump on the ferry and you are there! 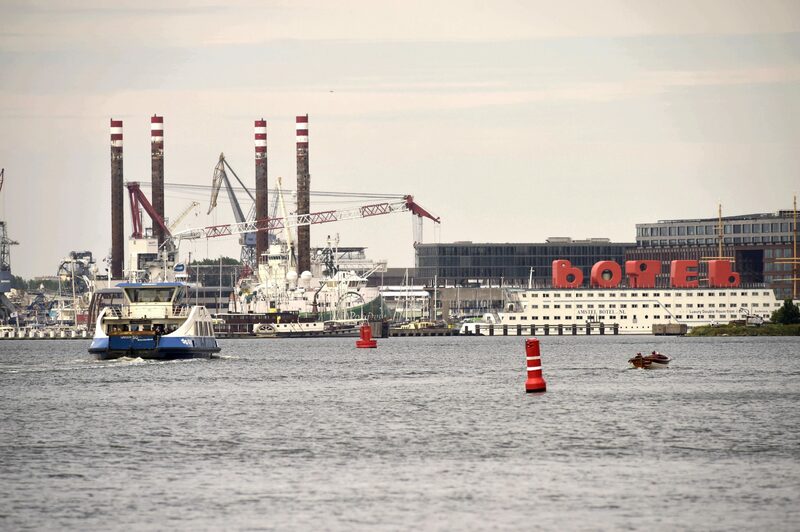 You can get to us by ferry from the ferry dock behind Amsterdam Centraal Station; crossing time about 14 minutes. If you prefer to drive to us we have plenty of parking space; parking costs only 8 euros a day! Go on a discovery tour of historic Landsmeer. Go on an adventurous mountain bike tour with Bike Experience Amsterdam.